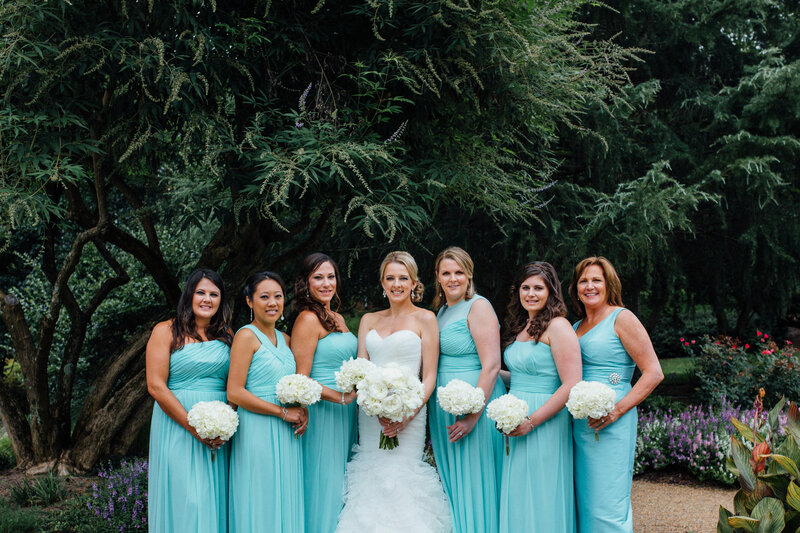 Laura and Justin were married at the beautiful Villa Christina! 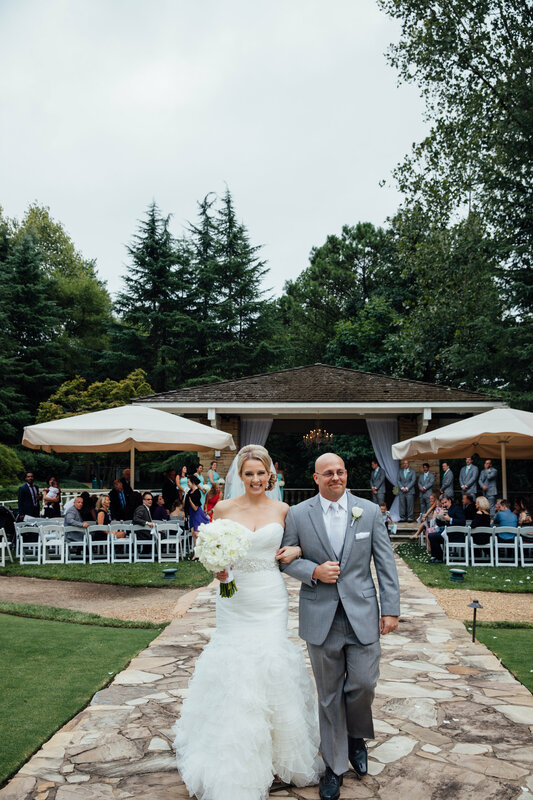 This outdoor setting was perfect for an intimate summer wedding. 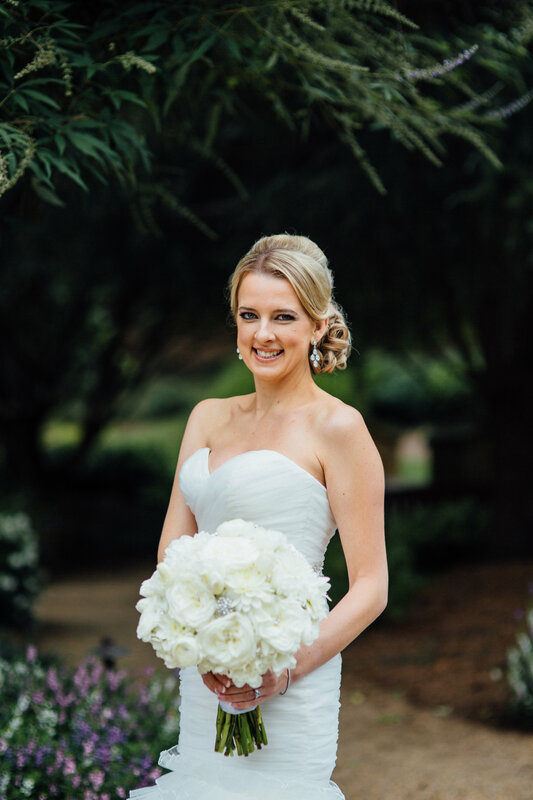 Laura was absolutely stunning carrying her full round romantic white hydrangea bouquet, surrounded with white tulips, white dahlias, white ranunculus, and white freesia. 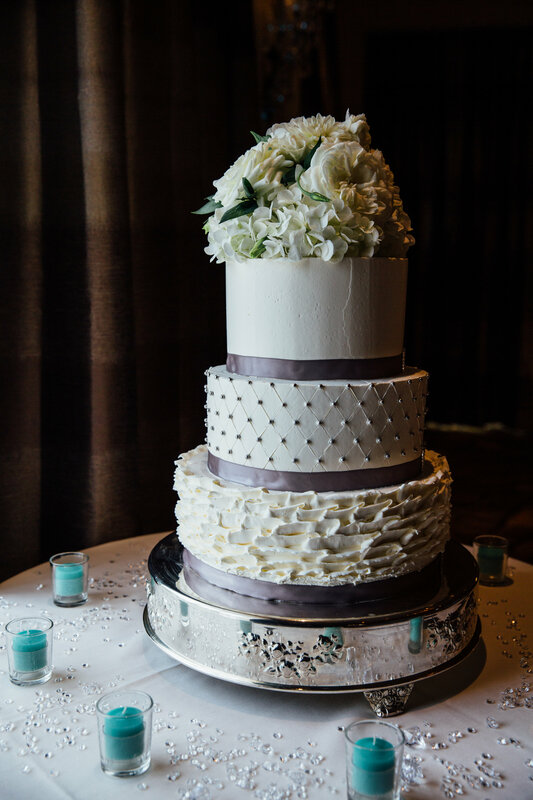 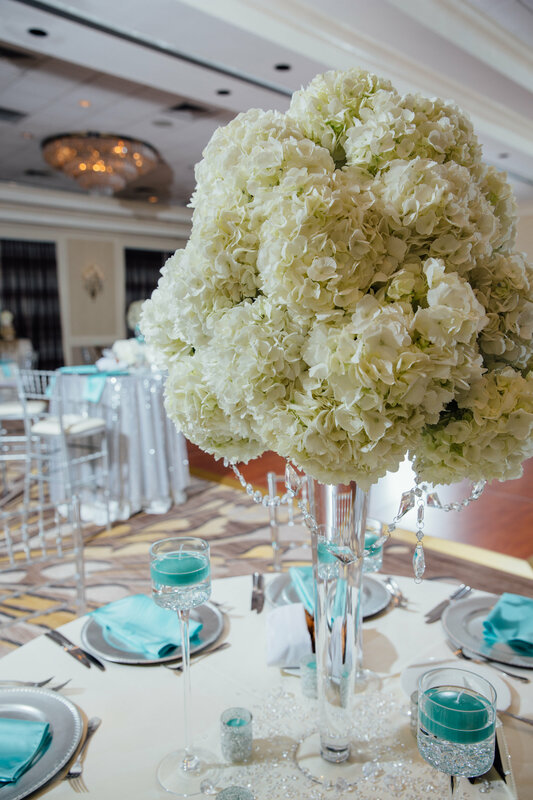 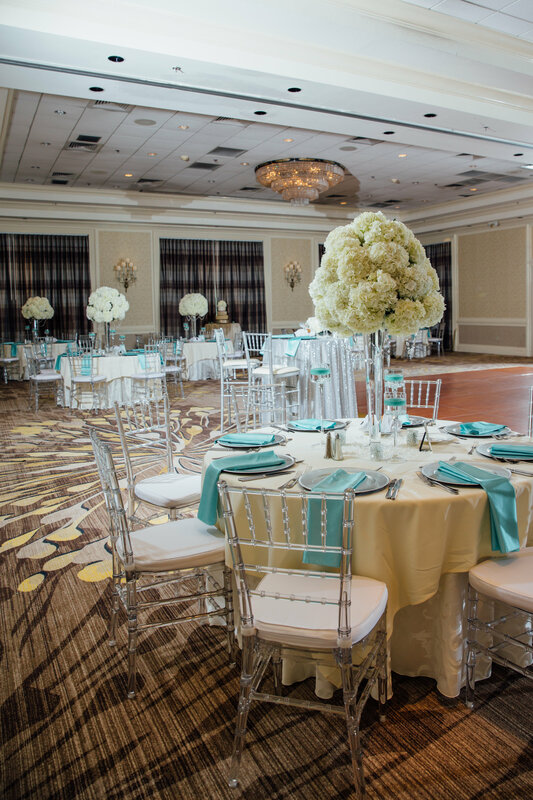 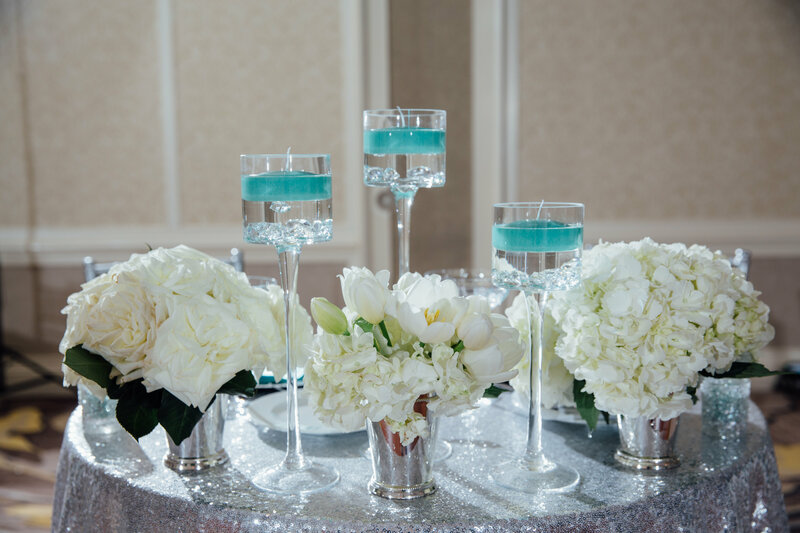 Teals, silver, and glittery tones complimented the reception decor where tall white hydrangea centerpieces and floating teal candles made this a picture perfect wedding! 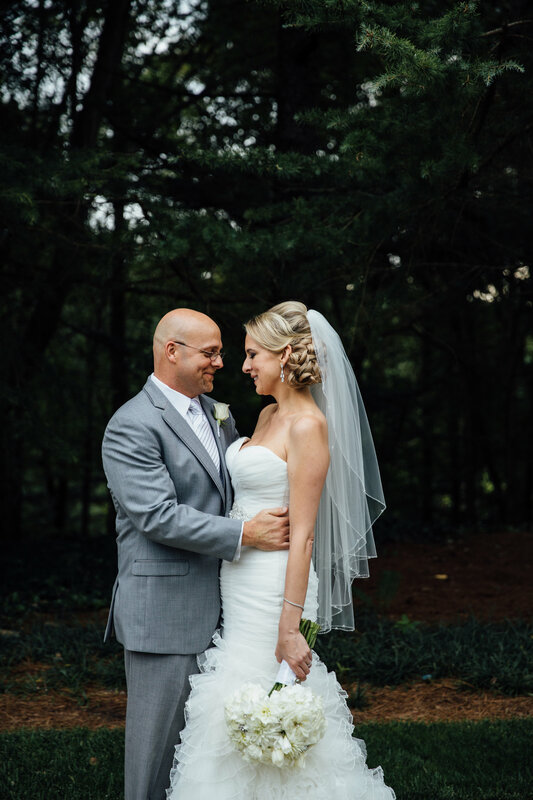 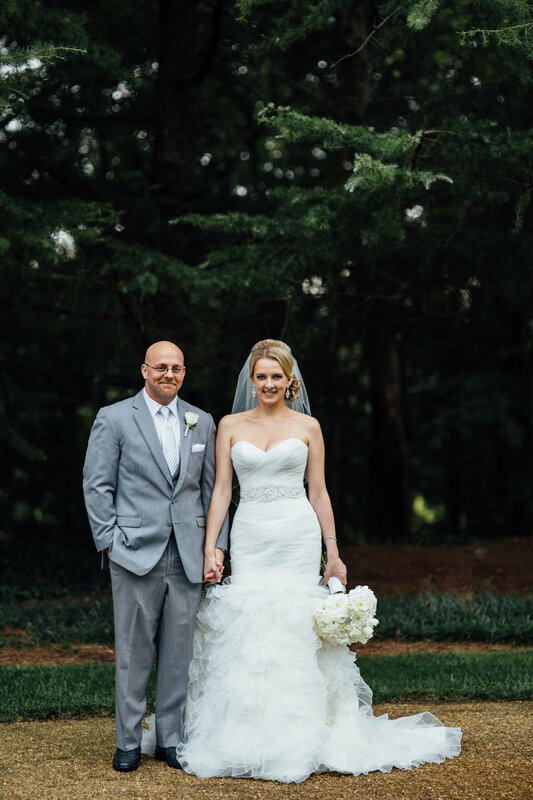 Design House loves this gorgeous venue and beautiful couple! 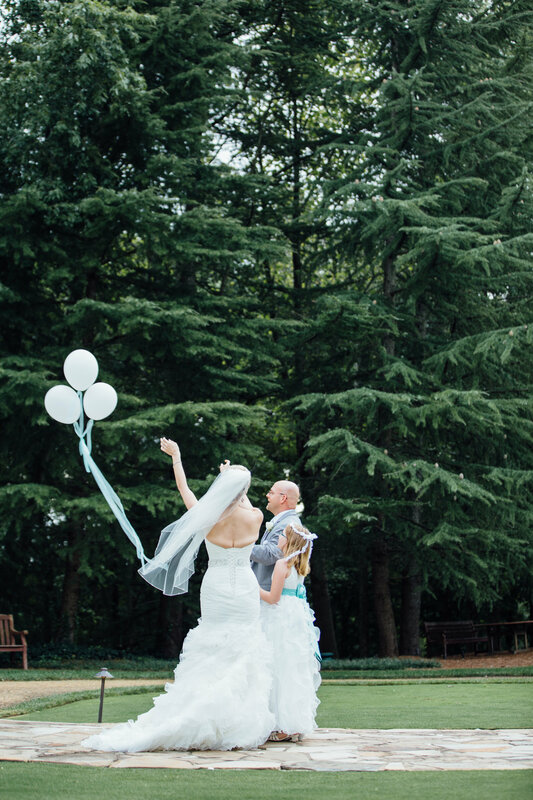 Who wouldn’t want to be married near a water fall? 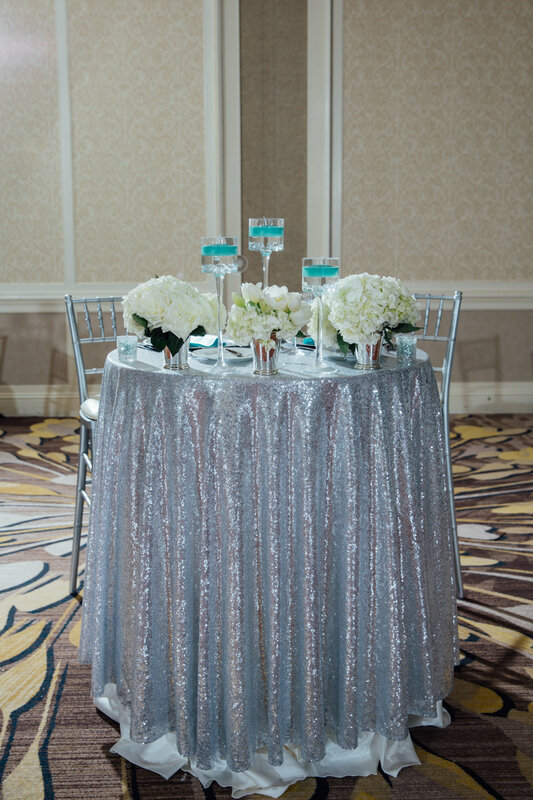 Thank you to Tin Can Photography for these wonderful photos!